Fraternities and sororities are a huge part of going to college in America. No matter where you go there are different ideas, stereotypes, and myths about Greek organizations. I am here to give you a glimpse into the amazing, diverse, and fun-loving lives of greek members at Hope College. Greek Life at Hope aims to enrich the lives of students by fostering lifelong relationships and connections through leadership, academic, and social accountability. Each organization is unique and brings something completely different to the Hope community. About 20% of the campus is a member of a Greek organization. From this group of people, you will find students that are involved in nearly every activity on campus. One thing that is special about the culture of Greek Life at Hope is that it is not exclusive and it will never inhibit you from experiencing other parts of campus. 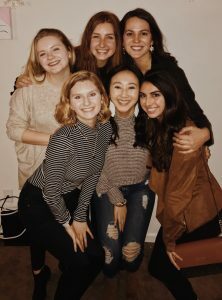 I have found that in joining a sorority I opened up connections to nearly every pocket on campus and was able to meet people outside of my dorm, class, major, and even interests. Nearly every campus activity that you join you can count on a Greek member being there. To be Greek at Hope is a great way to have a presence in Hope’s community and to be able to see a familiar face no matter where you go. There are a couple of things that make Greek Life at Hope a little different. For one, we have rush in the spring as opposed to many schools that recruit new members in the fall. This allows freshmen to get settled and meet people from every organization without any sort of pressure. In addition to that, our rush process is a little over two weeks long. This allows for rushees — students rushing a fraternity or sorority — to actually get to know the actives and vice versa. What I really appreciate about our rush process is that it is designed so that rushees are given multiple opportunities to explore every single organization before finding which one would best fit them. When I rushed, not only did I find a sorority I love, but I met so many people in different organizations all around campus. Once rush is over rushees will receive a bid, a formal invitation, to join an organization. At this point, Greek Orientation starts — a 3-week orientation process that all new actives will go through after choosing an organization. These 3 weeks are filled with learning about the history and traditions of each organization. It was during this time that I created hilarious memories and bonds with my pledge class, the same people that rushed with me. After those three weeks are over, you are welcomed with open arms to be an active member of your sorority or fraternity. This is when the real fun begins. There are countless social events that will introduce you to members of nearly every Greek Organization on campus. Not only will you grow socially but each organization participates in fundraisers that will benefit the community. Fun fact: Did you know that Dance Marathon was brought to Hope by Greek Life? Since then the Greek community has been a pivotal part of the success of Dance Marathon at Hope. Once joining this community you will find that there are a couple of things that differentiate Hope Greek Life from the Greek communities you may hear about at other schools. For instance, apart from one national fraternity on campus, every other organization is local. The only difference is that local organizations do not abide by any national laws regarding dues. Another thing you will find is that organizations may not be referred to by their letters. For instance, there are Dorians, Emersonian, Sibyllines, and Cosmos. May feel tricky but you could easily get the hang of it. Another difference is that not every member lives in the organization’s house. At Hope, only about ten members live in the organization’s cottage. 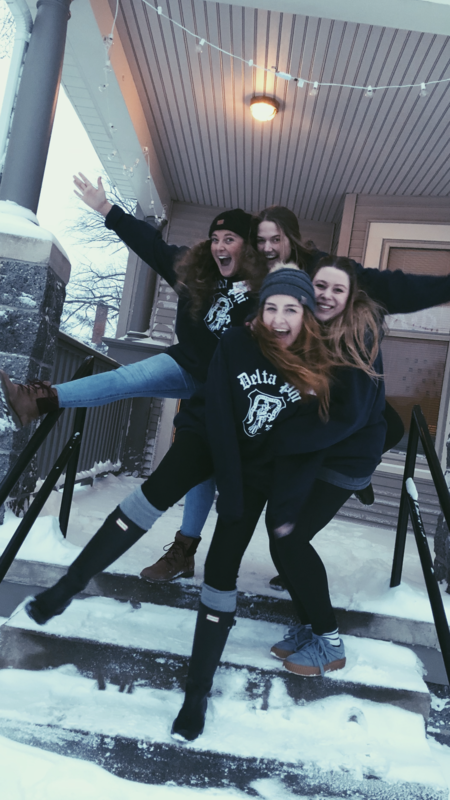 I rushed Delta Phi because I wanted to be a part of something at Hope. What I found is that I entered a community that stretched me to experience college in a completely different way. I found friends that make me laugh for hours, are up for every kind of adventure and are committed to supporting each other in all kinds of ways. I love carrying on traditions and values that began before I was even born. I became part of a family line of amazing women that remind me to work hard and live life to the fullest. I am incredibly thankful for being a part of Greek Life at Hope College and the ways that it has enhanced my time at Hope. I know it may sound like a lot but I encourage all students to explore the opportunities that this community can bring! You can find out more about Greek Life here! 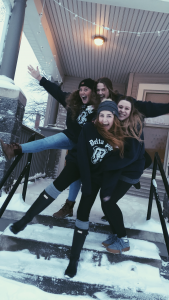 For another, more detailed, blog about Greek Life at Hope check out this blog!